You used to walk on the green hills of this mountains years ago when you were a child. You grow up and the mountain has changed because of human activity. This mountain is the memorable place for the woman that hadn't been to this place for years. When she came back, she couldn't believe what she saw. The hills that used to be green and full of trees were hewed by the humans. 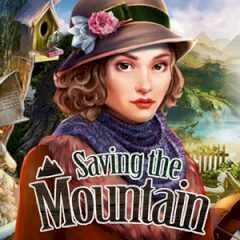 She has a strong desire to save the mountain and make it look beautiful again, but she needs your help.